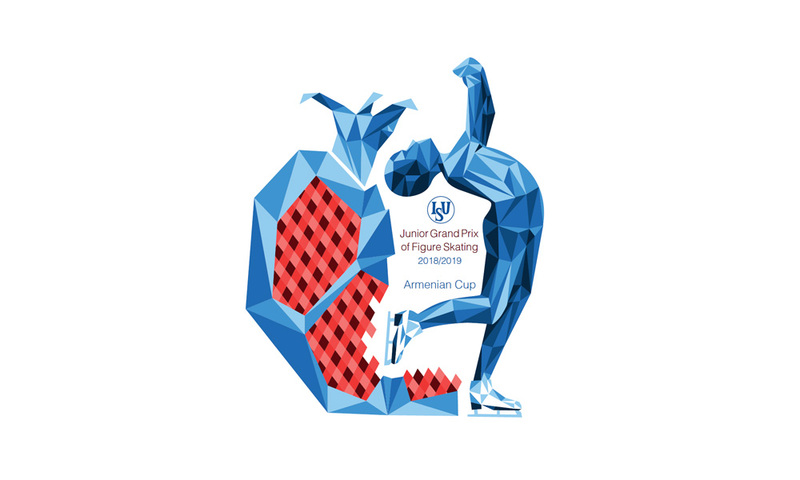 As the Junior Grand Prix series draws to a close, we have been able to see the tremendous progress skaters have made in both their programs and their scores. Detailed protocols and complete results can be found here. 🥇 Adam Siao Him Fa won the title this weekend with a small lead over second place, giving him the boost he needed to reach the Final in December. He did have some errors, such as a two-footed landing on his triple Axel in the Short Program, as well as a step out of his quad toe-triple toe and a fall in his Free Skate. However, he showed great tenacity and didn’t let these errors shake him - much like his coach, 2007 World champion Brian Joubert. We would like to congratulate him for qualifying for the Final! 🥈 Yuma Kagiyama came in second place with two eye-catching performances. His Short Program was energetic and charming despite a costly error on his Lutz combination jump that left him at a disappointing sixth place. He came back in the Free Skate, opening with a wonderful triple Axel that really set the tone for the whole program. The Lutz remained rebellious, attracting some edge errors, but his speed, well-controlled spins, and the flow out of his jumps resulted in a performance that was very pleasing to watch. Yuma displays a lot of potential and we are eager to see how he will develop. 🥉 Ilya Kovler bounced back from his seventh place finish at JGP Canada to capture the first Junior Grand Prix medal of his career. He placed second in the Short Program with an almost clean skate to “Maybe I, Maybe You”, which showcased his beautiful extension and ease of movement. While his Free Skate to a medley of songs from the “James Bond” soundtrack included some technical errors, his explosive triple Axel, speed, and fun choreography really brought this program to life. 🥇 Arina Ushakova / Maxim Nekrasov captured the gold medal with a near 8 point lead over the second place finishers, easily securing their ticket to the JGP Final in December. They were the only team in this competition to meet all the key points in the Argentine Tango pattern in their charismatic and electrically energetic Rhythm Dance to a rock cover of “Libertango”. Their fun and kooky Free Dance to “Black Cat, White Cat” earned them a season’s best score and a Junior World Record score. We look forward to seeing them in Vancouver! 🥈 Maria Kazakova / Georgy Reviya got a second Junior Grand Prix silver medal here with two polished and impactful skates. Their Free Dance to “Carmina Burana” saw them almost reach the 100 point mark in the segment, with extremely solid twizzles from both of them, as well as a very acrobatic choreographic lift. With two second place finishes, their trip to the JGP Final is booked, and we wish them all the best! 🥉 Ellie Fisher / Simon-Pierre Mallette-Paquette improved upon their fifth place finish at JGP Ljubljana last week to earn a bronze medal at this event. The Gadbois team impressed with a smoothly skated Rhythm Dance to “D’Amor” and “Verano Porteno”, even after their involvement with the crash during warm up. Their “Les Misérable” Free Dance showed off their strong technical ability, including a fantastic rotational lift that finished off their program. We’d like to give a big shoutout to Julia Kim / Shokhrukh Sultanov who, after a dreadful collision in the first few minutes of the Rhythm Dance warm up, still managed to compete in the segment - bloody nose from Shokhrukh and all. Even though they withdrew before the Free Dance, they skated admirably considering the awful accident. 🥇 Alexandra Trusova won her second gold of the Junior Grand Prix with an incredible 33.45 point margin. Alexandra delivered another clean Short Program, almost meeting her score from Amber Cup, which gave her a comfortable lead early in the competition. In her Free Skate, removing the quad toe and the quad toe-triple toe from her layout proved to be a sound decision, as she produced an almost entirely clean program aside from one hand touching the ice on the quad Lutz - the first ever to be landed fully rotated by a lady in international competition. Her cool composure throughout the competition is commendable as she pushes technical boundaries at such a young age. We look forward to seeing her continued development and wish her luck in Vancouver. 🥈 Alena Kanysheva earned her spot in the JGP Final with her silver placement here. She delivered a lovely Short Program that fully displayed her skating skills and thoughtful expression of the music. However, she did only receive level 3 in her step sequence and combination spin in both of her programs and did have some issues with underrotations in her Free Skate. Despite errors, Alena remains delightful to watch with her light movements and engaging interpretation of the music. 🥉 Yuhana Yokoi earned the bronze medal after coming second in the Free Skate. Her Short Program was perhaps a little disappointing, as she suffered a fall on an underrotated triple flip and came in sixth place. However, she bounced back wonderfully in her “Phantom of the Opera” Free Skate. There was a technical issue mid-performance that caused her music to cut out, but she handled the interruption calmly and went on to complete a clean performance.